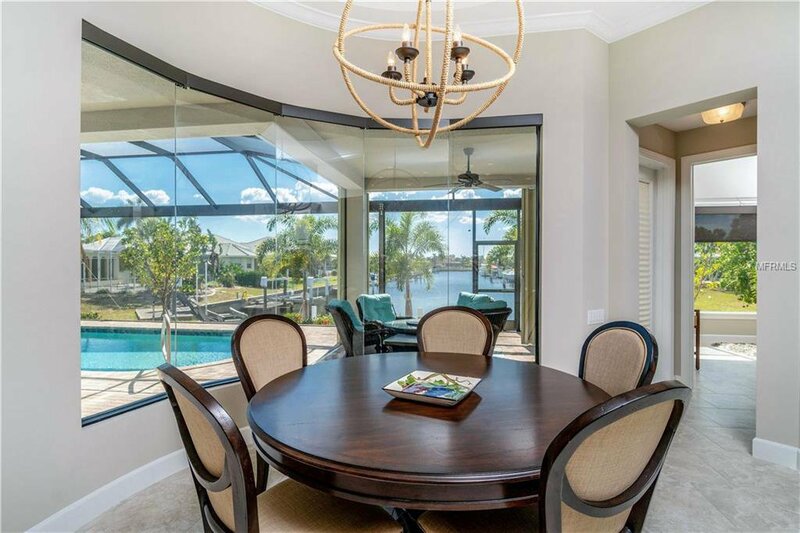 Exquisite custom-built Arthur Rutenberg 2,500 sq. 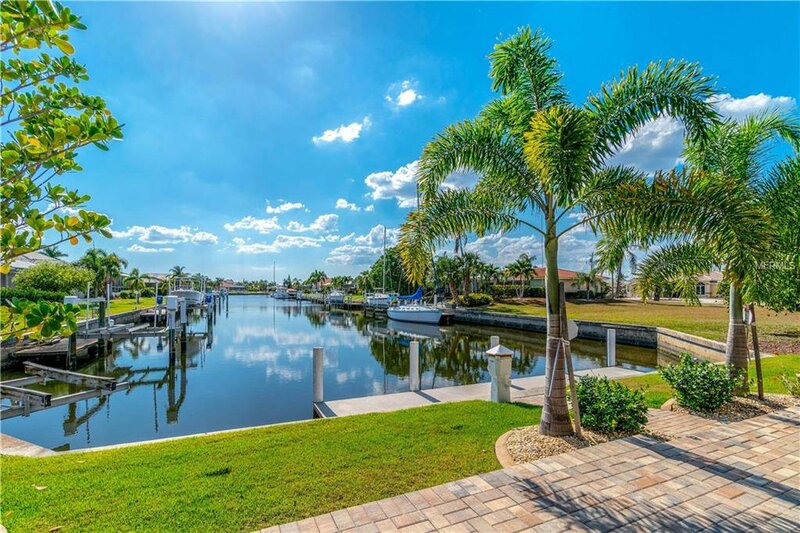 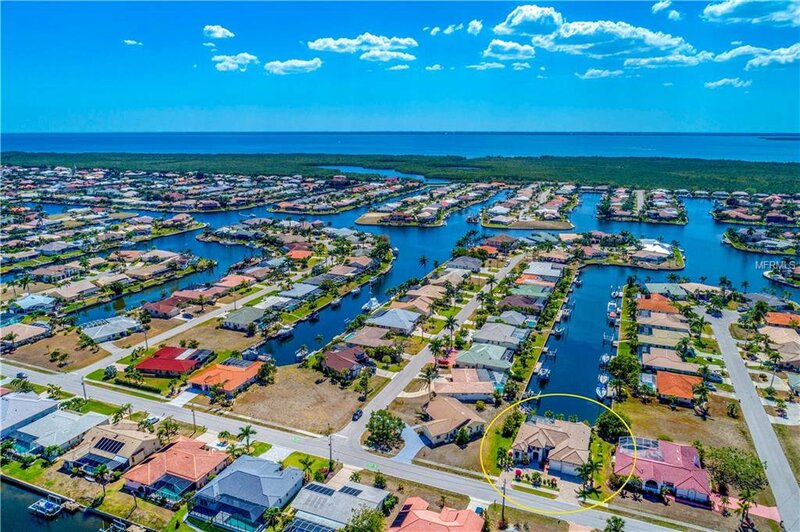 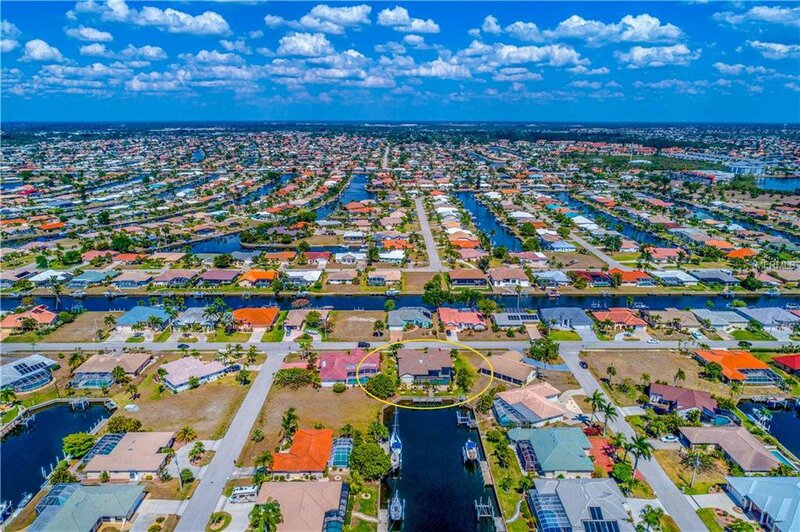 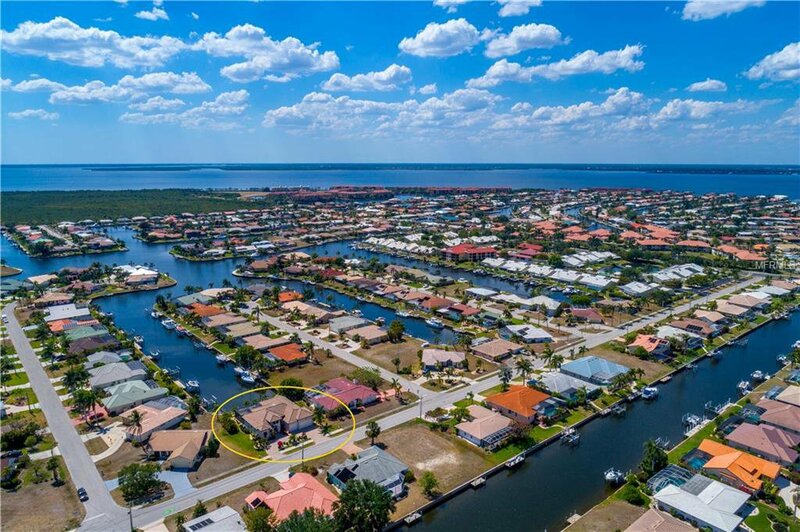 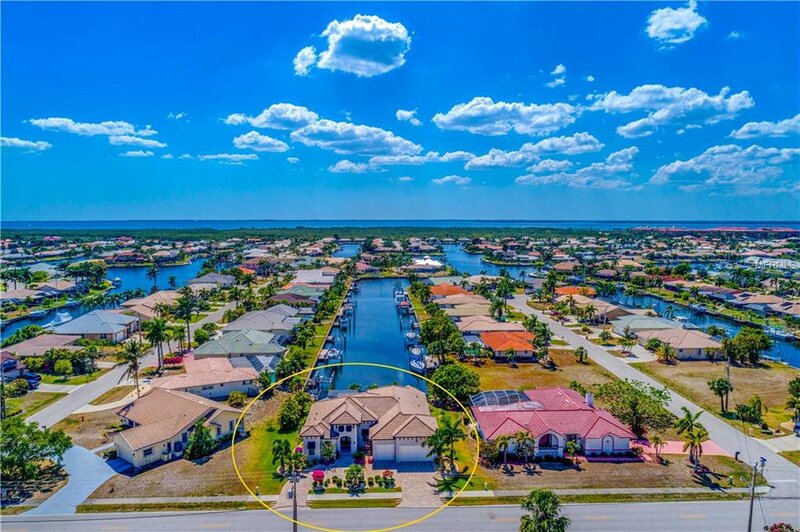 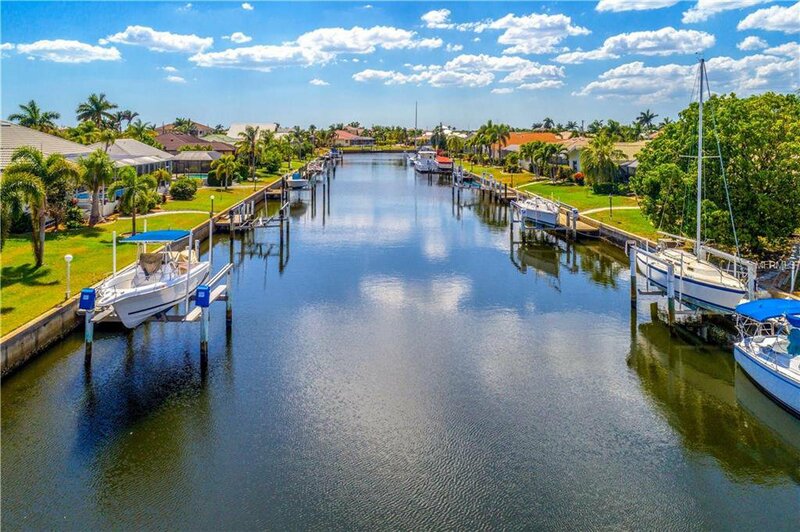 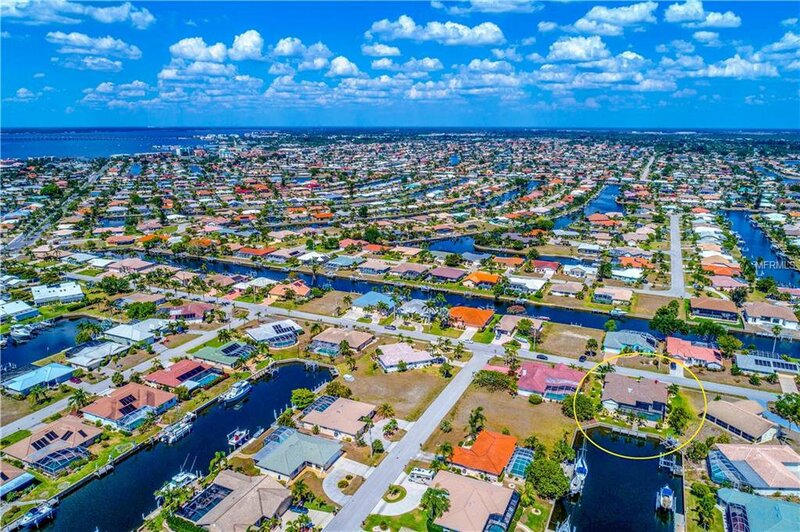 ft. 3-bedroom, 3-bathroom, pool/ waterfront home located in the much sought-after Punta Gorda Isles. 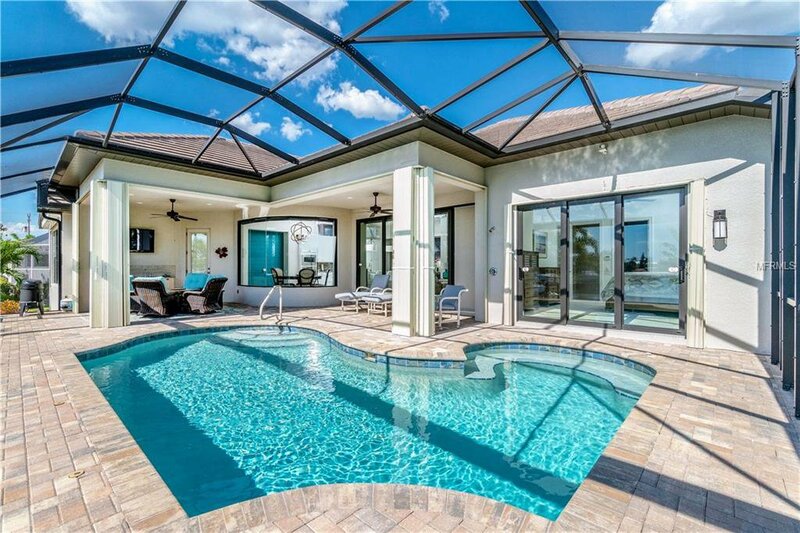 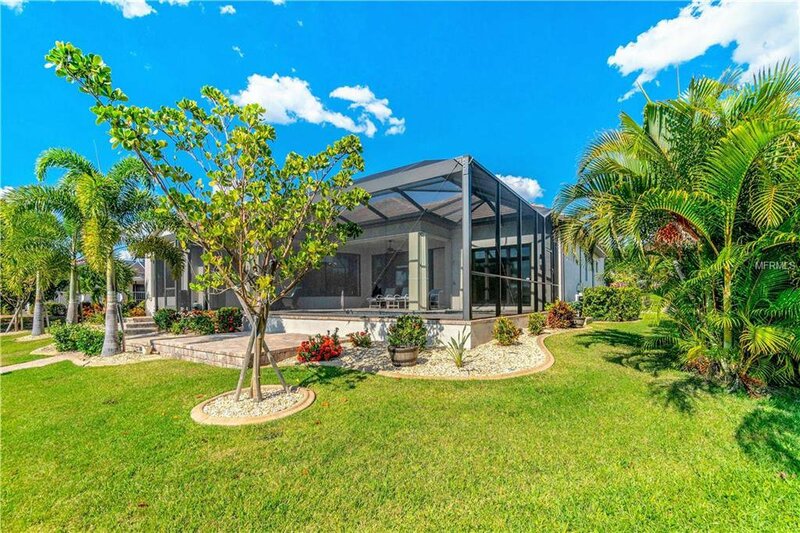 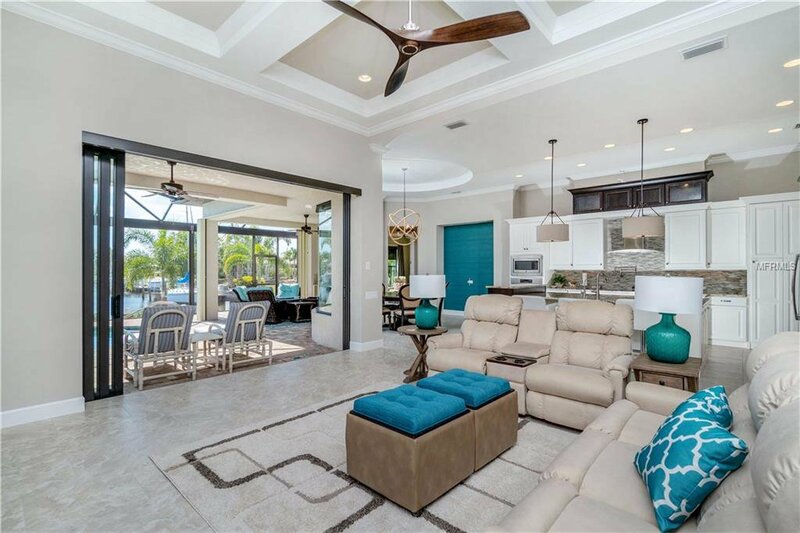 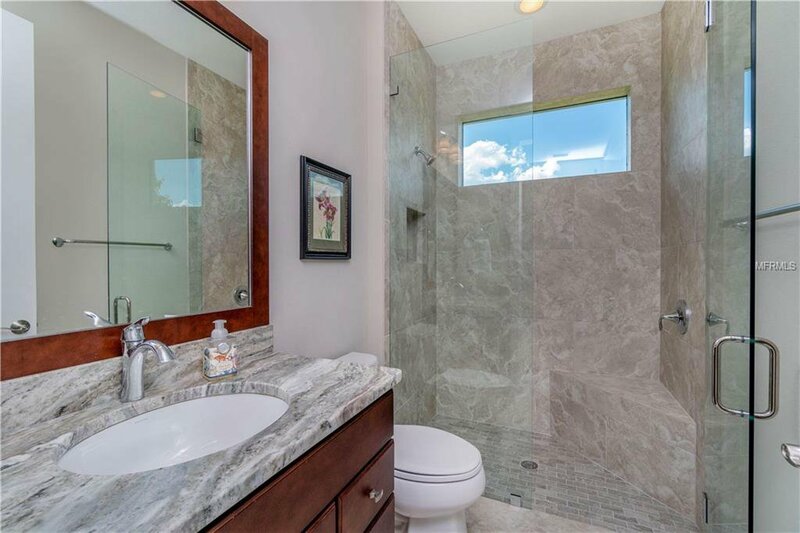 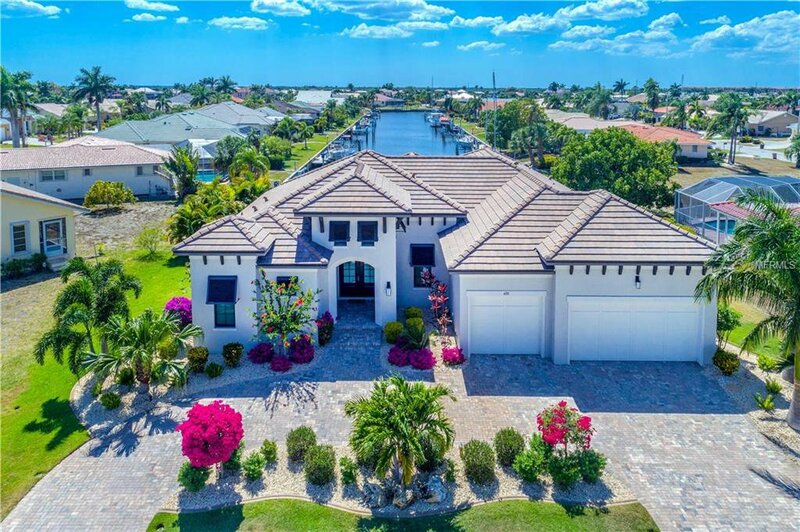 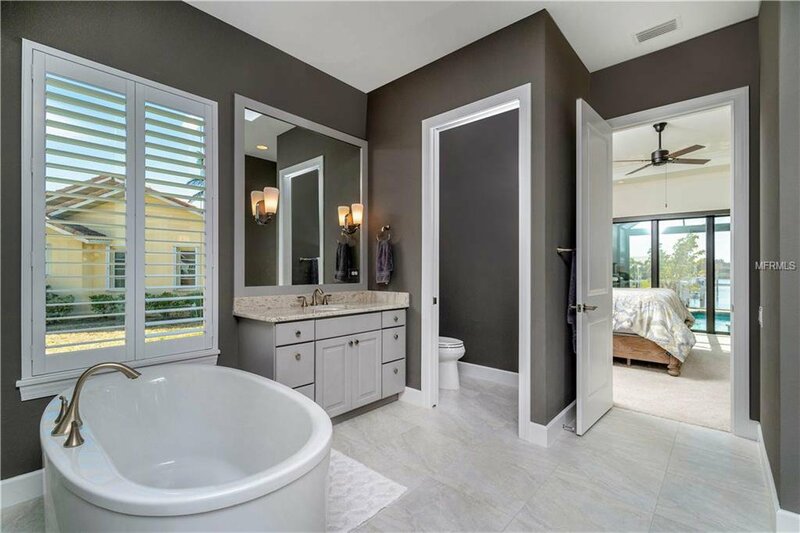 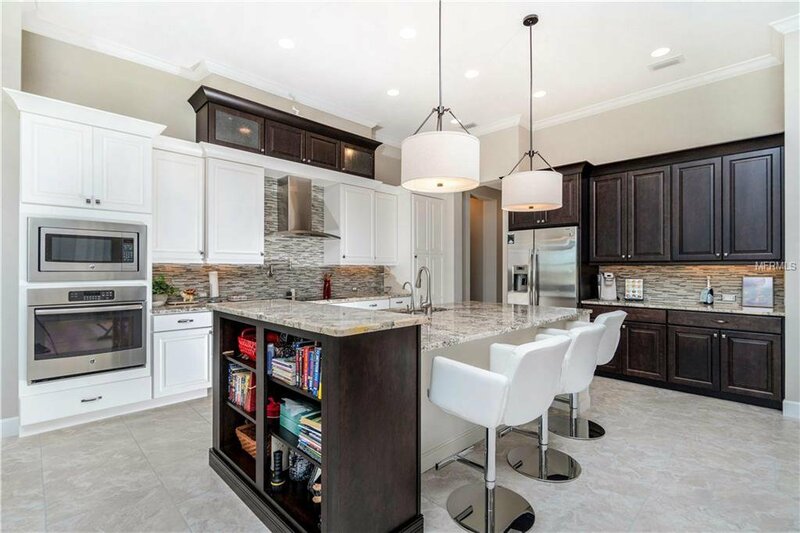 The moment you arrive at this elegant home you will begin to appreciate the upgrades from the tile roof, stunning landscaping with outdoor lighting and soaring palms trees, sealed brick pavers. 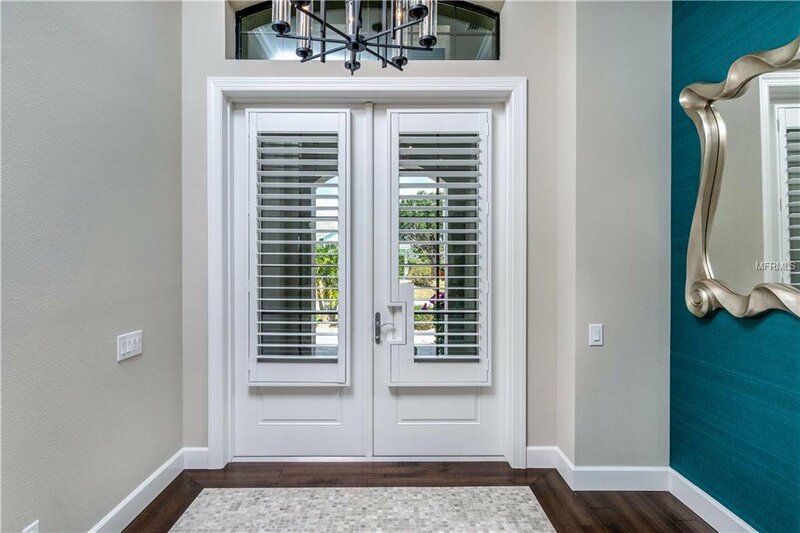 Luxury glass double entry doorway opens to the living room with tall 8 ft. sliders leading out to the Lanai giving you the feeling of bringing the outside in. 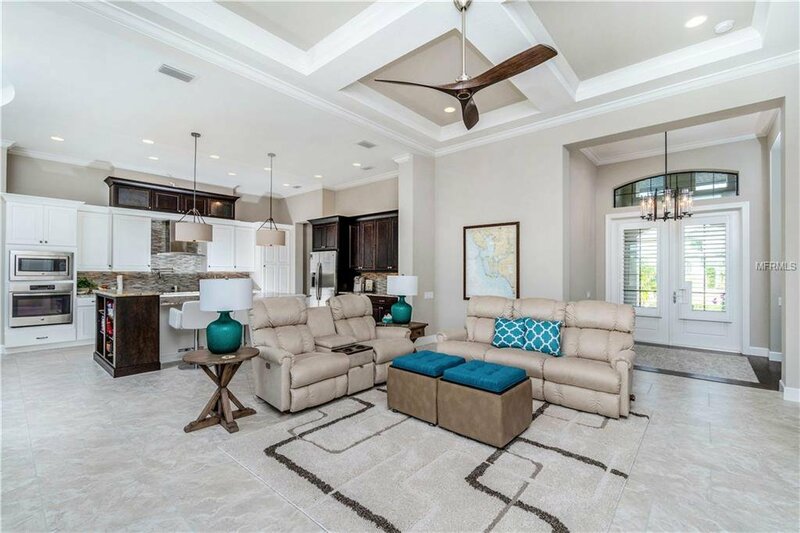 Showcasing crown molding, double tray ceilings, Graber custom electric treatments, wood plantation shutters and upgraded lighting. 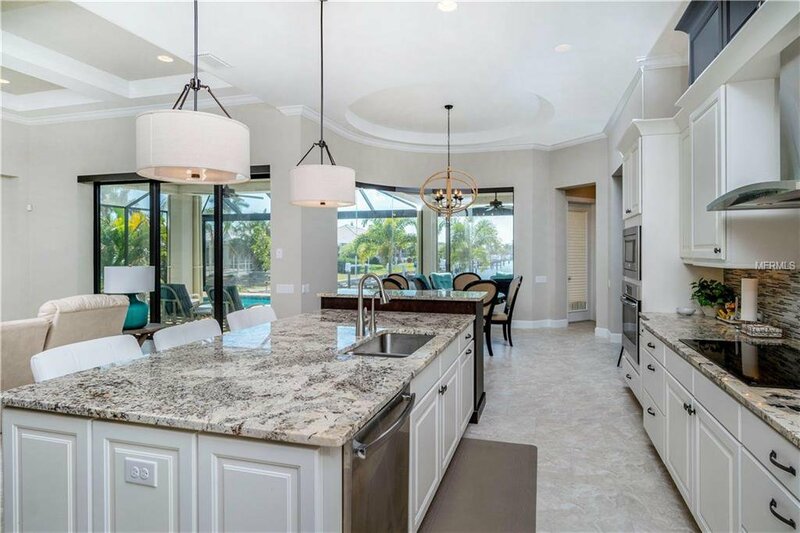 The deluxe kitchen offers wood cabinetry, large walk-in pantry, granite counters, expansive island with an abundance of storage and GE signature stainless steel appliances. 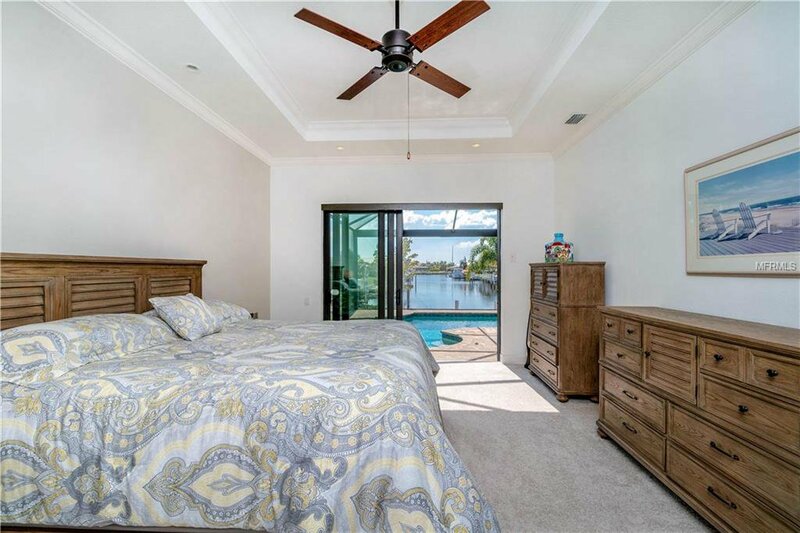 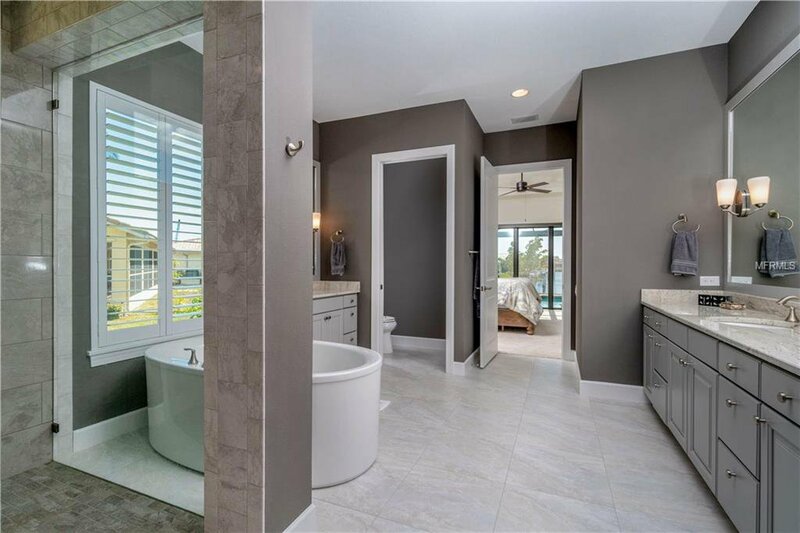 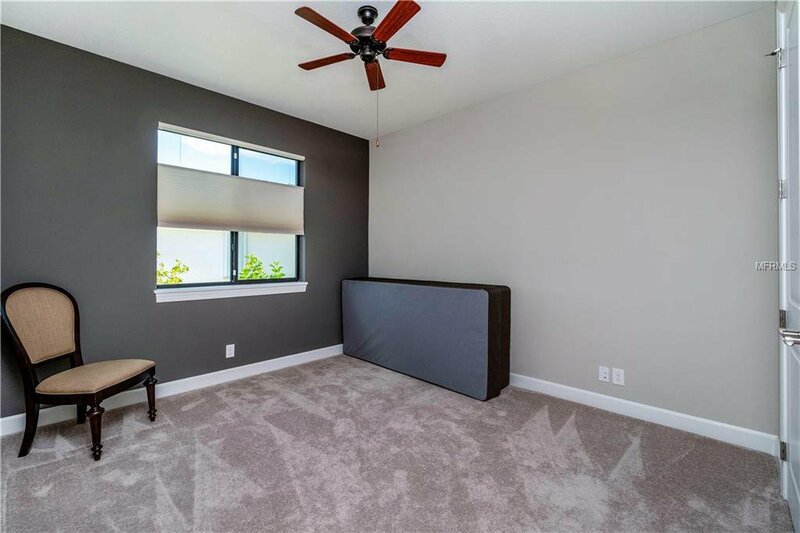 Large master suite has sliders out to lanai, dual vanities, garden tub, separate walk-in shower and a custom built walk-in closet. 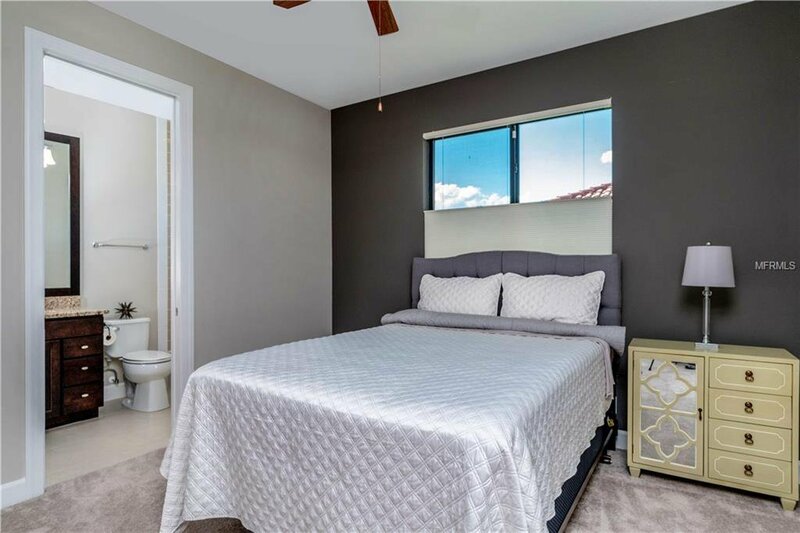 Two other good sized secondary bedrooms each with two additional full baths. 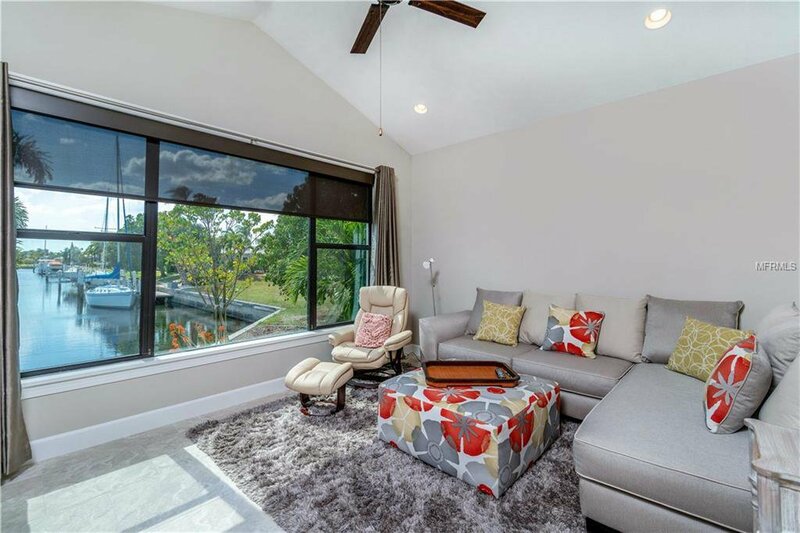 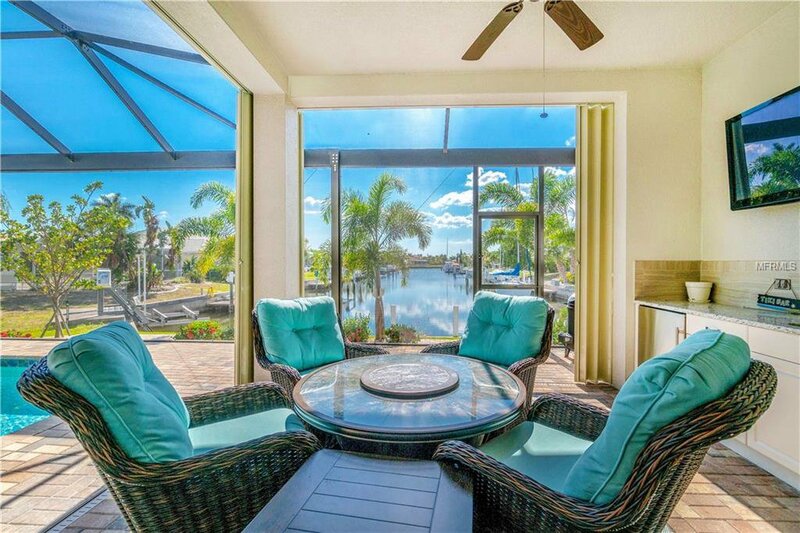 Beautiful den overlooking canal also with custom Graber electronic window treatments. 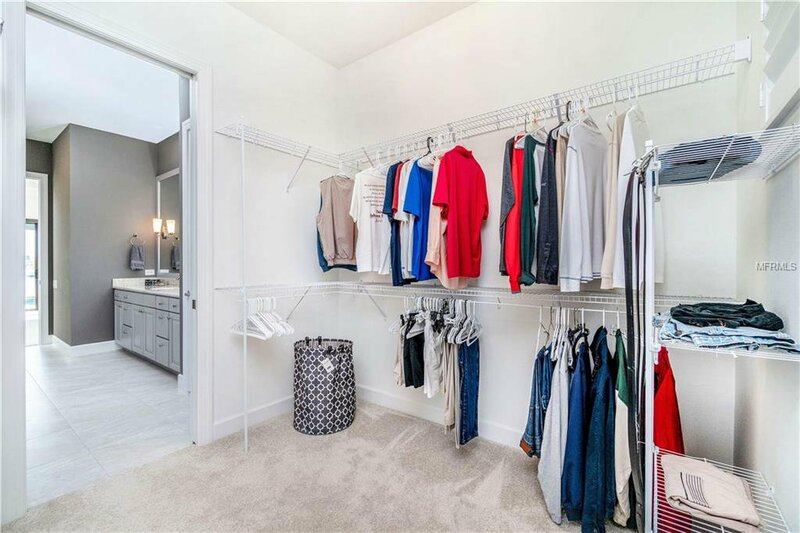 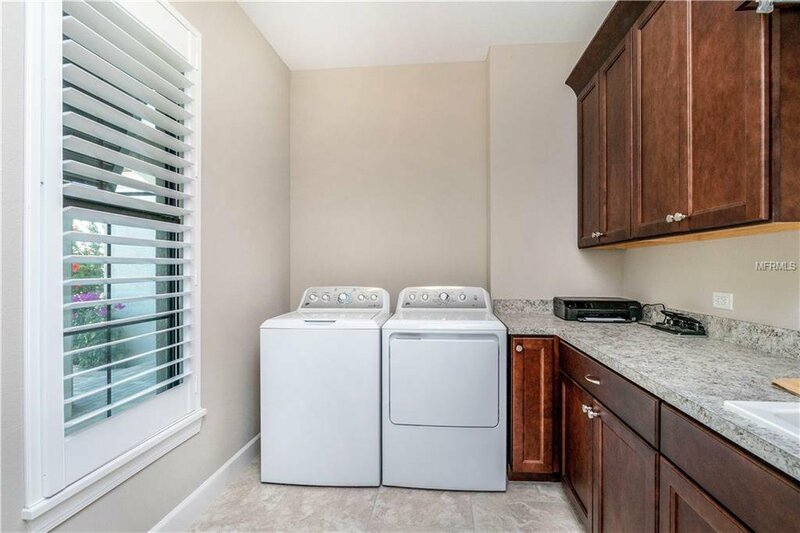 Laundry room offers storage, folding station and sink. 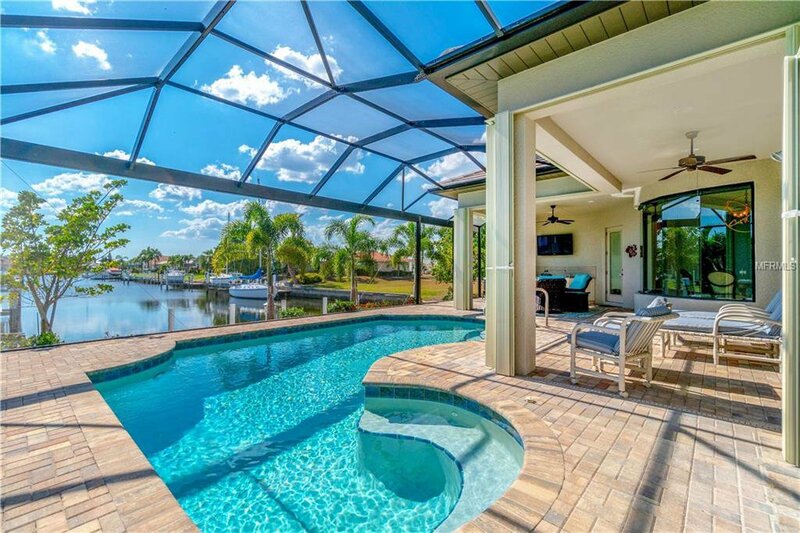 Outside is an entertaining delight with heated pool, wet bar, sealed brick pavers and large screened lanai overlooking a long canal view. 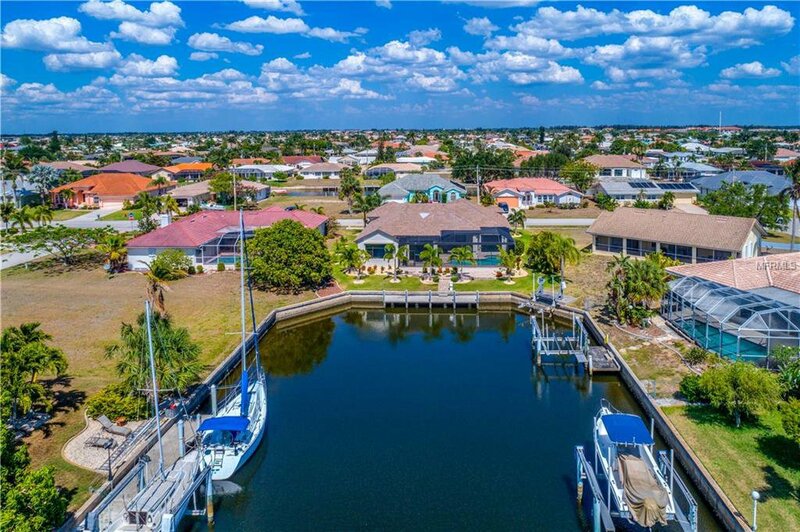 30' dock in place just waiting for your boat with quick 5 minute access to Charlotte Harbor and the Gulf of Mexico. 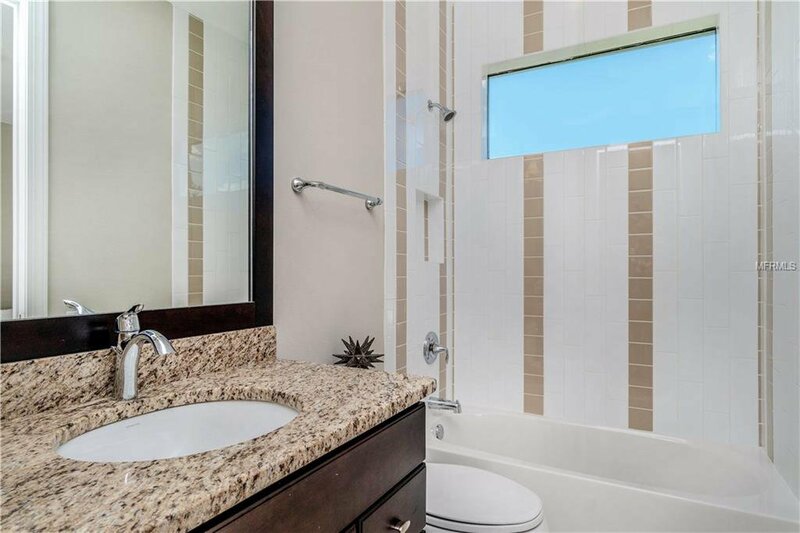 Upgrades include 80 gal hot water heater, 17 Seer A/C, whole house water filtration, outdoor kitchen and more.